Introduction: Extreme altitude travel has gained popularity globally for adventurous, scientific, and military endeavors. Cerebral venous sinus thrombosis (CVST) at extreme altitude is a rare, covert, and emergent condition requiring immediate intervention. Case Presentation: A case of CVST masqueraded as high altitude cerebral edema (HACE) at 6700 m/22000 ft in Karakoram Himalayas. Atypical oligosymptomatic presentation along with terrain, weather, and communication restrictions complicated diagnosis and management, leading to demise. CVST, confirmed on autopsy, was not associated with any pre-existing risk factors. Conclusion: CVST at extreme altitude can occur spontaneously due to prolonged hypobaric hypoxia which can precipitate thrombosis through capillary damage, haemoconcentration, and a hypercoagulable state. Ferro J, Lopes M, Rosas M, Ferro M, Fontes J. Long-term prognosis of cerebral vein and dural sinus thrombosis. Cerebrovasc Dis. 2002;13(4):272-278. doi:10.1159/000057855. Ferro JM, Canhão P, Stam J, Bousser MG, Barinagarrementeria F, Investigators I. Prognosis of cerebral vein and dural sinus thrombosis results of the international study on cerebral vein and dural sinus thrombosis (ISCVT). Stroke. 2004;35(3):664-70. doi:10.1161/01.STR.0000117571.76197.26. Hackett PH, Roach RC. High altitude cerebral edema. High Alt Med Biol. 2004;5(2):136-146. doi:10.1089/1527029041352054. Khan ID. Comorbid cerebral and pulmonary edema at 7010 m/23000 ft.: an extreme altitude perspective. Bangladesh J Med Sci. 2015;14(1):87. Khan ID. Extreme altitude pulmonary oedema (EAPO) in acclimatized soldiers. Med J Armed Forces India. 2012;68(4):339- 345. doi:10.1016/j.mjafi.2012.04.018. 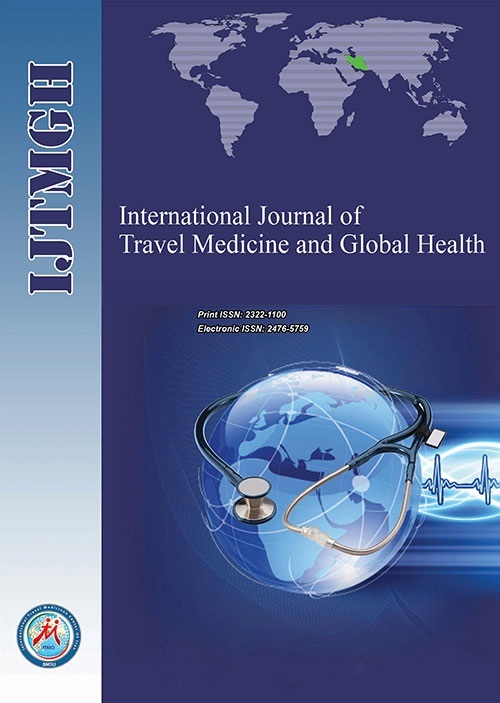 Leshem E, Pandey P, Shlim DR, Hiramatsu K, Sidi Y, Schwartz E. Clinical features of patients with severe altitude illness in Nepal. J Travel Med. 2008;15(5):315-322. doi:10.1111/j.1708- 8305.2008.00229.x. Cumurciuc R, Crassard I, Sarov M, Valade D, Bousser M. Headache as the only neurological sign of cerebral venous thrombosis: a series of 17 cases. J Neurol Neurosurg Psychaitr. 2005;76(8):1084- 1087. doi:10.1136/jnnp.2004.056275. Gambhir R, Anand V, Khatana SS, Bedi V. A Brief Review of High Altitude Thrombosis. Indian J Vasc Endovascular Surg. 2014;1(1):20. doi:10.4103/0972-0820.142362. Gupta RK, Jamjoom AA, Devkota UP. Superior sagittal sinus thrombosis presenting as a continuous headache: a case report and review of the literature. Cases J. 2009;2(1):1. doi:10.1186/1757- 1626-2-9361. Song S, Asaji T, Tanizaki Y, Fujimaki T, Matsutani M, Okeda R. Cerebral thrombosis at altitude: its pathogenesis and the problems of prevention and treatment. Aviat Space Environ Med. 1986;57(1):71-76. Prabhakar A, Aggarwal M, Khurana P, Trehan N. Rare case of cerebral stroke & venous thrombosis developed during high altitude expedition. Indian J Radiol Imaging. 2006;16(3):313. doi:10.4103/0971-3026.29004. Towbin A. The syndrome of latent cerebral venous thrombosis: its frequency and relation to age and congestive heart failure. Stroke. 1973;4(3):419-430. doi:10.1161/01.STR.4.3.419. Dickinson JG. High altitude cerebral edema: cerebral acute mountain sickness. Semin Respir Crit Care Med. 1983;5(2):151-158. doi:10.1055/s-2007-1011445.